Although his interest in the kitchen started at a young age, Lents culinary career officially began under Jean Joho at Everest in Chicago. After a five-year tenure there, Lents accepted a position at the Michelin two-star rated Thornton Restaurant inside the Fitzwilliam Hotel in Dublin, Ireland. In 2007, he returned stateside to cook at The Mansion, Joel Robuchon’s three-star Michelin rated, five-diamond rated restaurant in Las Vegas. Lents briefly left Las Vegas for a year to serve as the chef de cuisine at celebrated Quince Restaurant in San Francisco, before returning to Las Vegas to serve as chef de cuisine of Joel Robuchon’s namesake restaurant – making Lents the first American to be hired for a chef position by Robuchon. 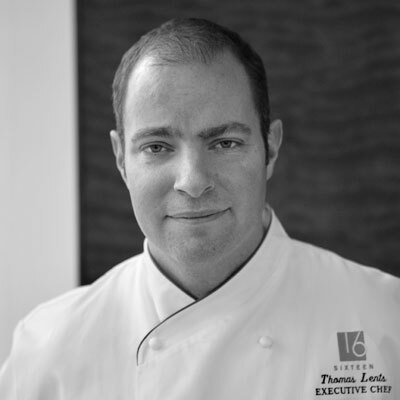 Most recently, Lents served as executive chef at Sixteen Restaurant in Chicago. While at Sixteen, Lents earned critical recognition both nationally and regionally, with the restaurant receiving two Michelin stars, five-diamonds from AAA, five-stars from the Forbes Travel Guide, four-stars from Chicago Tribune, and four-stars from Chicago Magazine. In addition, Lents was a finalist for the Jean Banchet Awards for Culinary Excellence in 2014, and a semifinalist for the prestigious James Beard Foundation award for “Best Chef: Great Lakes” in 2015.